I am an experienced traveler and have lived abroad for almost 20 years of my life. During all of that time, whether studying or working overseas, I always maintained my residence in the United States. I really love Central Europe, and thought about retiring there one day, but the property prices and residency requirements made that impossible for me. I was also comfortable in my home country and with the status quo. Then in 2008 I had an epiphany. My mother had just died, at the age of 63 from cancer. This caused me to reflect a lot upon my own life. I had watched my bank savings interest rate drop every year from almost 7% to the point where 1yr. Certificates of Deposit were paying only 2% interest, which was less than the inflation rate. I realized that my retirement savings were at the mercy of the Federal Reserve Bank, and that unless I was willing to gamble my hard-earned money in the stock market, I would keep losing money as it sat in the bank. While on vacation that year my then girlfriend and future wife was in the process of buying a 12m x 30m building lot in the small town of Atyra for $1,200. 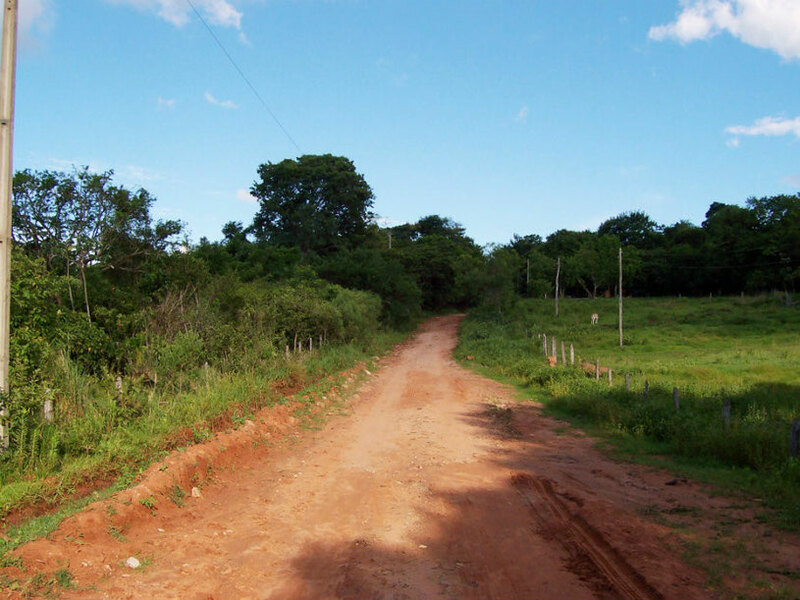 She brought me out to see the property, and on the way back to Asuncion, we saw a 3 hectare lot (300m x 100m) for sale for $7500. Over 7 acres of level and fertile land, with water and electricity connections, 600m from a main asphalt road in a beautiful location for 7 grand? I jumped at it. The sale went through without a hitch, and another opportunity presented itself. A house that I really liked, which was located on the same street as my property came up for sale. It had a big mango plantation and a really beautiful yard. I never owned a house before; I didn’t want to take out a mortgage, enslave myself to a bank for 30 years, and have the stress of a monthly mortgage payment. But the price of this beautiful home was within my reach, and I saw the chance to improve my life. No more renting. Property ownership and a lower cost of living awaited me. No more letting a bank profit from my money, while I make nothing in the process. No more saving for a retirement that I might not even live to collect. I decided to take more control of my life and my future; I bought the house, and I’ve never looked back.